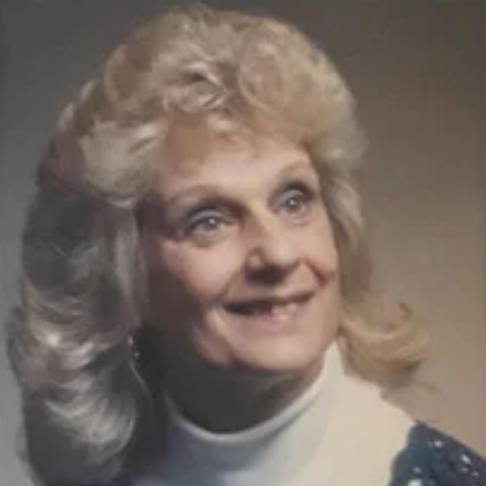 Dorothy H. (Yoncheff) Stanley, age 82, of North Huntingdon, passed away Wednesday, March 6, 2019. 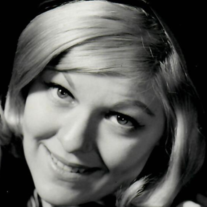 She was born November 8, 1936 in McKeesport, a daughter of the late Boris and Julia Yoncheff. In addition to her parents, she is preceded in death by her husband Francis “Sonny” Stanley Jr.; and sisters Barbara Pauley and Evelyn Bartko. She is survived by her children James (Joani Reischel) Stanley of Parker Colorado, Dean (Karen) Stanley of Newton Falls, Ohio and Sandra Bertani of Irwin; and grandchildren Dante and Brooke Bertani and Julianna Stanley. 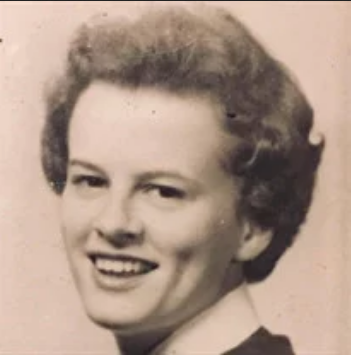 Sue Ann (Gobbel) O’Brien, age 79, of North Versailles, passed away peacefully at Concordia of Ridgewood Sunday, March 3, 2019. She was preceded in death by her loving husband of 59 years Dennis M. O’Brien. She was born in McKeesport on March 5, 1939 along with her identical twin sister Sandra Dee Danielson. They were known in McKeesport as “The Gobbel Twins”. They both graduated from McKeesport High School and were inseparable. It was common for people to mistake one for the other, which they both enjoyed. Sue Ann took great joy in caring for her husband and three children. She was competitive, athletic and stayed active throughout her life. She became a very good golfer in her 50’s and played as often as she could while battling Alzheimer’s. 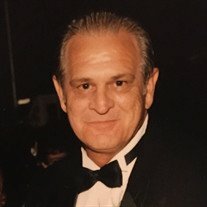 James W. West, age 61, of North Huntingdon, passed away on Wednesday February 27, 2019. He was born November 16, 1957 in Columbia, South Carolina, a son of Harold and Roselaine West. He worked for over 38 years as a Quality Inspector for Bombardier in West Mifflin. He was a proud Eagle Scout and an avid Pittsburgh sports fan that loved the Pittsburgh Penguins. He is preceded in death by his sister-in-law Bonnie Sandstrom. 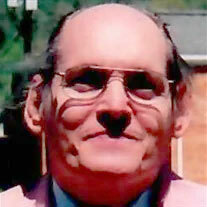 In addition to his parents, he is survived by his wife of over 34 years Judith West; daughter Kayla (Rooney) Jordan of North Huntingdon; granddaughter Melody Jordan; sister Cynthia (Joseph) Cindric ; brother Brian (Janis) West; in-laws John and Sandra Gray; sister-in-law Deborah (Kevin) Malone; brother-in-law Kenneth (Christina) Gray and Ronald (Jeannine) Gray; and many nieces and nephews. 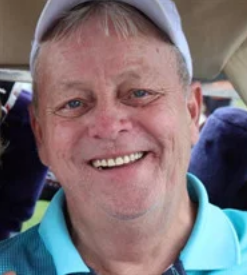 William E. Marsh, 74, of North Huntingdon, passed away Wednesday February 27, 2019. He was born April 5, 1944 in McKeesport, a son of the late John and Elizabeth “Betty” (Lessa) Marsh and was also preceded in death by a sister Carol Danielson. 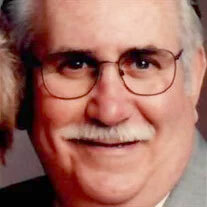 Bill was an Air Force veteran and a retired employee of Beckwith Machinery Co., Murrysville. He was a member of First Presbyterian Church, Irwin, East McKeesport Lodge, 765, F. & A.M., and Irwin Country Club. He enjoyed golfing and spending time with family. He is survived by his wife of 52 years Mary Jane (George) Marsh; his daughter Debbie Polczynski and her husband Drew of North Huntingdon; his granddaughters Magen and Mara Polczynski; siblings David J. Marsh and his wife Cheryl and Deanna Plecko and her husband Stephen; brothers and sister in law John Danielson and Debbie and Tom Kennell; also nieces and nephews. 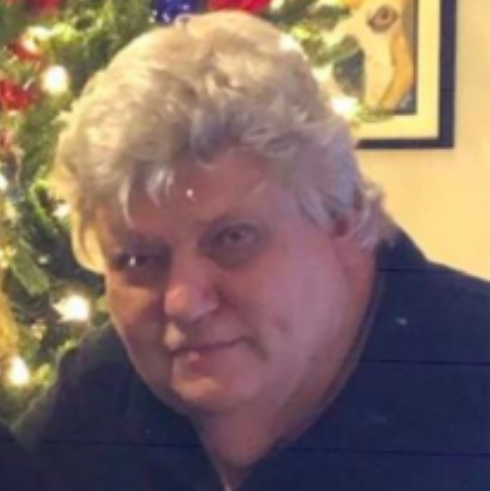 Jeffrey J. Benson, 52, of North Versailles, died Monday, February 25, 2019. He was born May 9, 1966, the son of Patricia (Glucs) Benson and James R. Benson both of North Versailles and is also survived by his uncle John “Benny” Benson and his wife Kathy of North Versailles; also cousins and many good friends. Jeffrey was a graduate of East Allegheny High School, class of 1984, and worked as a carpenter. He was a low keyed guy and enjoyed riding his motorcycle. Honoring Jeff’s wishes there will be no viewing. Rev. Frank A. 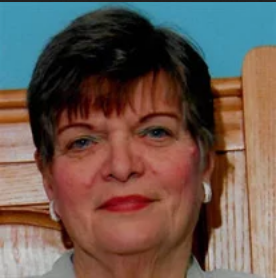 “Buckie” Ziska, 77, of North Versailles, passed away suddenly Wednesday, February 20, 2019. He was born October 18, 1941 in Braddock, a son of the late James W. and Genevieve Ella (Fisher) Ziska. In addition to his parents he was preceded in death by his brothers Jack and James Ziska and a sister Ester Ziska. Buckie was the owner and operator of Buckies Window Cleaning for 48 years and a former firefighter for Sunset VFD where he also served as fire chief and as an EMT. He was ordained in 2014 as a minister through his studies at Word of Life Ministries. He is survived by his wife Rita (Pipp) Ziska; his sons Marc (Dawnn) Ziska of New Stanton, Lance (Emma) Ziska of AL, and Eric (Sharen) Ziska of North Versailles; his grandchildren Kayleigh (Jon) Wilson, Sarah, Hannah, Natalie, and Emily Ziska; great grandchildren Chase and Jake Wilson; a sister Katherine Mansfield of TX, also nieces and nephews and great nieces and nephews. 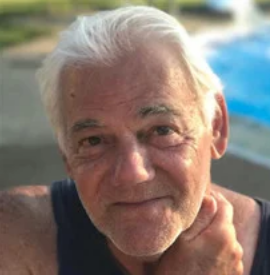 Kenneth F. Flodine, age 61, of North Versailles, passed away Wednesday, February 20, 2019. He was born October 30, 1957 in Wilkinsburg, a son of Eileen (Sprute) Flodine and the late Kenneth N. Flodine. He was a member of the Faith Lutheran Church in White Oak. In addition to his father, he is preceded in death by 2 nephews. In addition to his mother, he is survived by his brothers Keith and Kurt (Lisa) Flodine; sister Kim (Stephen) Chupinka; and 6 nephews. Friends and family will be received from 2 to 8 p.m. Sunday at the Forgie-Snyder Funeral Home, 1032 Broadway, East McKeesport, 412-823-8083. Paul A. Lees Sr., 88, of Monroeville, died Monday February 18, 2019. He was born May 31, 1930 in Braddock, a son of the late James and Victoria (Shirer) Lees and was also preceded in death by his wife Audrey Mae (Hill) Lees on September 18, 2018, and a brother James Lees Jr. Paul was a Navy veteran of the Korean Conflict and a retired business officer manager for AT&T. He was a member of Cross Roads Presbyterian Church, Monroeville, where he served as a church trustee and was active with the Men’s Association. He was also a member of Shidle Lodge No. 601, F&AM, Irwin, and Syria Temple, Pittsburgh. He is survived by his sons Paul A. Lees Jr and his wife Joan F. of Monroeville and Bryce M. Lees of Wilkins Township; his granddaughter Kira Ann Lees; also nieces and nephews. Thelma M. (Caldwell) Antis, 87, of Irwin, died Sunday February 10, 2019. She was born February 8 1932 in North Huntingdon, a daughter of the late Percy and Gertrude M. (Faith) Caldwell and was also preceded in death by her husband David W Antis; a son David T. Antis; a great grandson Micah A. Antis; siblings Charles E. Caldwell and Laura M. Rodgers; and a granddaughter in law Tanya Antis. Thelma was a lifelong member of Brush Creek Evangelical Lutheran Church where she served as past vice president of church council and a Sunday school teacher. She was a 50-year member and Past worthy Matron of the Order of Eastern Star, Irwin chapter 400, and served as Past Mother Advisor for International Order of Rainbow Girls, Irwin Assembly 42, for 22 years. 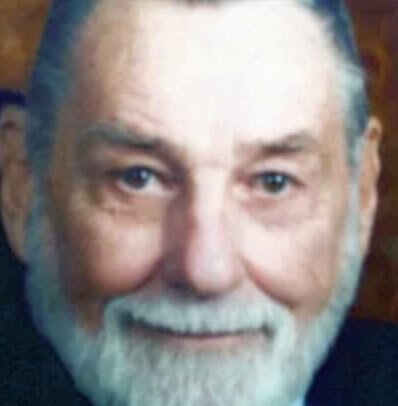 John Peter Frydrych, 95, passed away February 4, 2019 at Golden Heights Personal Care in Penn Township. He was born in Wilmerding on May 5, 1923 to the late Walter and Nellie (Kasprzyk) Frydrych. John grew up in Wilmerding where he lived for 92 years. He graduated from Westinghouse Memorial High School in 1941 and proudly served with the U.S. Army during World War II from September 1942 through December 1945. After arriving back home in 1945 John went back to work for the Westinghouse Airbrake Company in Wilmerding. He retired after 44 years of service as a machinist. John married his late wife Sophie (Czekaj) Frydrych in 1968 and was happily married for 46 years. John was a member of St. Jude the Apostle Parish and the former St. Leocadia Church. He served his church and family selflessly. Twila J. 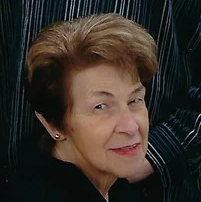 (Sorg) Swauger, age 71, of East McKeesport passed away with her family by her side on Sunday, February 3, 2019. She was born in McKeesport, a daughter of the late Wayne and Margaret (Peters) Sorg. She retired after 40 years as the school bus terminal manager for First Student that provides busses for the Norwin, Gateway, and East Allegheny schools. In addition to her parents, she is preceded in death by her son John McNeill; and brother Arthur Sorg. She is survived by her children Carol (Jimmy) Reed of McKeesport, Jeffrey (Diane) McNeill of East McKeesport and Karen (Mark) Loving of North Versailles; grandchildren Amy McNeill, Joshua McNeill, Brandon Reed, Evan Reed, Lexi Loving, Hailey Loving, Brianna Loving and Ryleigh Loving; sister Nancy (Stan) Costanzo; sister-in-law Debbie Sorg; and nieces and nephews. James F. Winkles, Age 84, formerly of East McKeesport, entered the kingdom of heaven on January 26, 2019. Jim served our country in the US Army, served as an East McKeesport police officer, and retired from LTV Inc. after 30 years. He was a member of St. John’s Lutheran Church in North Versailles. He is survived by his wife of 62 years, Janice (Eisaman) Winkles; his son Greg Winkles and wife Cindy; his daughter Lori Zapf and son-in-law Joseph; his granddaughters, Rachel and Alexis; siblings Earl Winkles and Mary Voytko; and many nieces, nephews, and cousins. He was preceded in death by siblings Jack, Ruth, and Wilma; and parents Earl and Elizabeth Winkles.